Royal Enfield continues the 2014 rides calendar with the third edition of the Royal Enfield Tour of Bhutan. One of the marquee international rides organized by the company for Royal Enfield customers, the Tour of Bhutan is a 7 day motorcycling experience that will take the riders through some of the most scenic and picturesque terrains in the Land of Dragons. This year the Tour of Bhutan was flagged off by Mr. R.K Sachdeva, Regional Manager (West Bengal & North-East), Royal Enfield. The Tour of Bhutan is a motorcycling adventure in the Himalayan Kingdom that will traverse through the snow-capped mountain peaks in the eastern Himalayan ranges namely the black mountains and the Shivaliks. This year, 20 riders are journeying through the scenic hilly terrains and winding roads into the dragon’s lair, Bhutan. Riding on Royal Enfield motorcycles, these riders will be cruising through the country roads lined with orchards and rice fields, dotted with tiny villages and bustling marketplaces. Traffic on the roads is minimal but the terrain is challenging enough ensuring that the ride never gets boring. 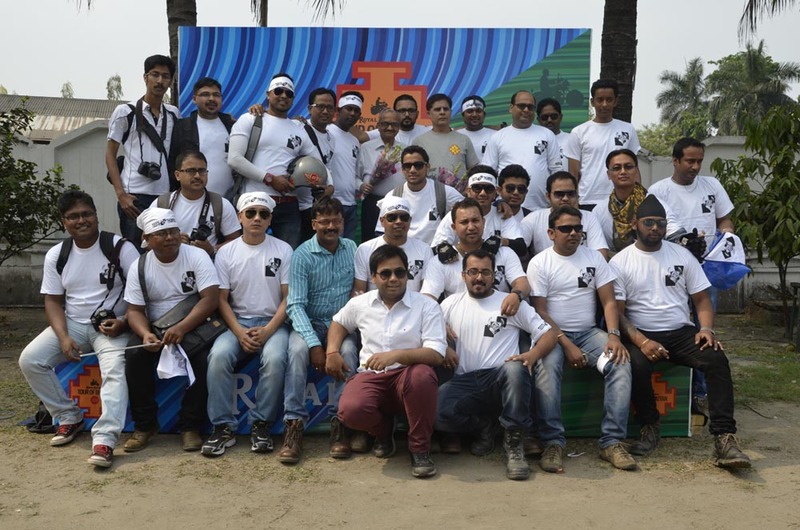 The participants start from Siliguri in West Bengal and ride to Thimpu from Darjeeling through Phuentsolling, Paro, Bumathang, Tashigang and finally return to Guwahati covering a distance of 1,500 kilometers on their Royal Enfield motorcycles. This non-competitive leisure motorcycling ride promises to be an unforgettable experience for the participants. 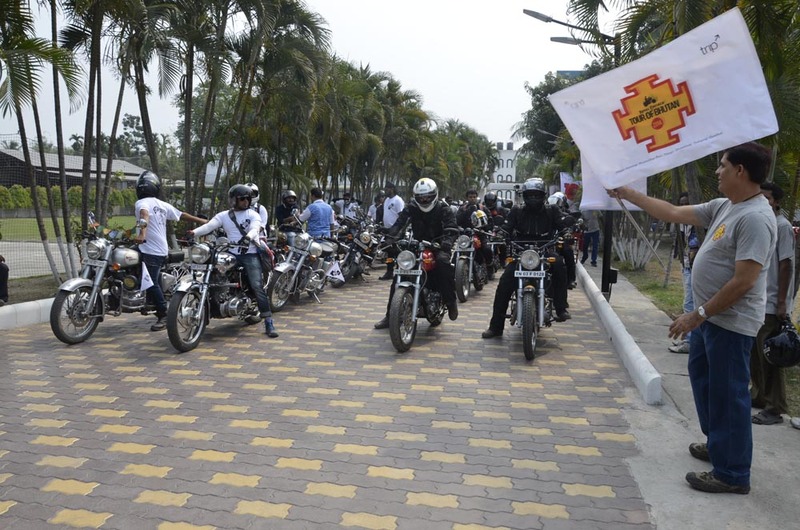 More than 100 riders across Darjeeling and Siliguri gathered at Siliguri to celebrate One Ride 2014. Enthusiastic participants travelled from Siliguri to Sevoke along with the Tour of Bhutan contingent. 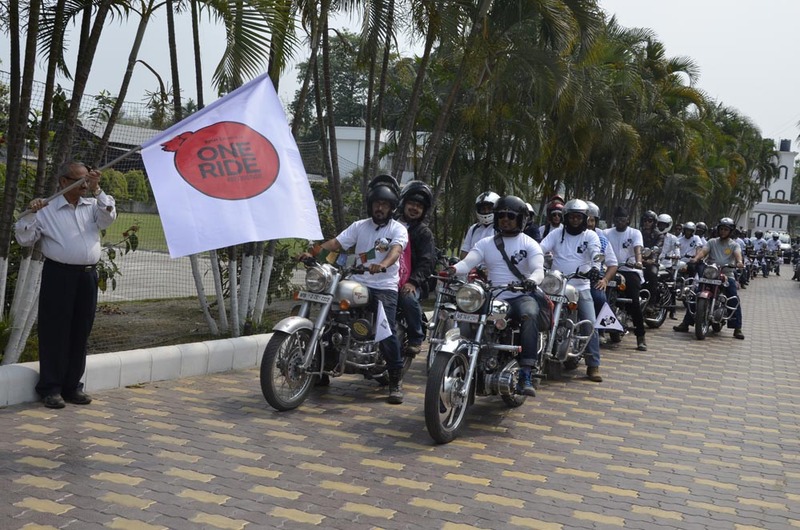 One Ride 2014 was celebrated by over 3300 Royal Enfield customers and enthusiasts. All Royal Enfield company stores and dealerships across the country and abroad organized rides where customers were invited to ride together.